Anywhere you live, getting involved in the community and knowing your neighbors always makes it feel like home. Luckily, by living in Vegas, there are plenty of ways to spread your wings and engage with new people every day! From Las Vegas meetup groups that introduce you to new friends and new activities, to venturing out into one of the many community events like concert series and art fairs, you’re sure to branch out and find ways to keep yourself entertained. Take a look at some of our favorite upcoming community events in Downtown Las Vegas! Right down the street from The Ogden, Clark County Parks and Recreation presents its FREE jazz concert series for the 29th year. Kick off summer with live music in the park, with shows taking place through June. The concerts usually start around 5:30-6:30pm and picnics, blankets and low back chairs are welcome. For the ultimate Downtown Las Vegas community event, get out on the first Friday of each month for local art, culture, music, food, and more. This activity is put on by the First Friday Foundation, a non-profit organization dedicated to supporting local arts and culture. Find out more about the events, artists, and food vendors you can expect to see at the upcoming First Fridays on their website. The Downtown Las Vegas Events Center is home to some of our community’s biggest, most exciting concerts. This summer, the Vans Warped Tour is coming to the Events Center to rock out for the final time on June 29th. With more than 50 bands listed on the concert line up, including rock favorites like 3OH!3, Reel Big Fish, and Four Years Strong, you’ll be surrounded by fun, friends, and great music. In addition to Warped Tour, the Downtown Las Vegas Events Center is also hosting the Lost 80’s 15th Anniversary Concert, 311 with The Offspring and Gym Class Heroes, and many others. Downtown Las Vegas has always been known as the place to catch show-stopping entertainment and the Downtown Las Vegas Events Center brings world-class talent, unrivaled production, and a uniquely Vegas experience to the area. You’ll never want the show to end! For even more concerts, get on over to Fremont Street. The 2018 Fremont Street Experience Downtown Rocks summer concert series is a free event that kicks off on May 25th at 8pm with Candlebox and Cracker. Other acts for the summer include the SiriusXM Summerland Tour, Billy Ray Cyrus, and Halestorm. Whether or not you know every band on the lineup this summer, Fremont Street Experience always puts on a great show. Enjoy the warm weather and start your weekend off right with live entertainment and good company in the Downtown Las Vegas community. If you’re single, enjoy spending time with friends, and want to do some good, then look no further! The SingleVolunteers of Las Vegas Meetup group helps with a variety of events and community projects around town. Following the volunteering, the group usually enjoys something fun and social together afterwards. This group is a great way to meet fellow community members and make a difference in your neighborhood. Life at the Ogden in Downtown Las Vegas is anything but dull. 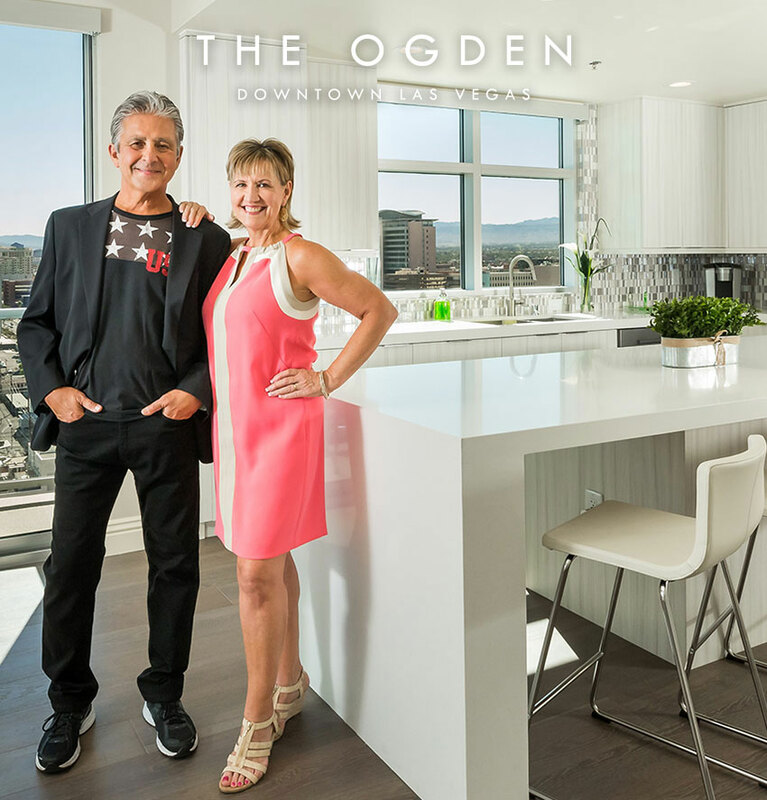 We know that how you live is just as important as where you live, which is why we have a dedicated Lifestyle Director that coordinates a social calendar of Downtown Las Vegas community events just for Ogden residents. We offer welcoming and fun social spaces where you can grab a cocktail with friends and meet your neighbors on the Sky Deck or at the Social Lounge. We also offer fun events to branch out and experience new things. Our cocktail hours, movie nights and weekend brunches are just a few of the opportunities you’ll have to hang out with friends, family and your fellow residents. With all of these fun ideas for getting involved in Las Vegas community events, it’s time to get out of your comfort zone and soak up all that Downtown Las Vegas has to offer!